Kicking off December with a massively busy week but I love being busy so this week is super exciting for me. 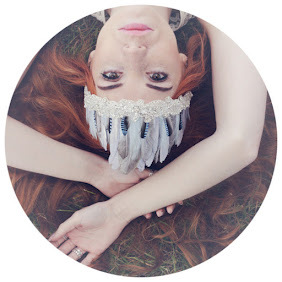 As it is the festive month of the year I have promised lots of Christmassy posts to get you all feeling more in the spirit of Christmas with present ideas, stocking fillers and pretty party outfits...which brings me to my first one of the month! When I was younger I hated getting socks for christmas, it was always a stocking filler that I overlooked and didn't care for...I am only 22 but now I LOVE socks. Cute socks, warm socks, over sized knee high socks; warm feet are happy feet in my opinion. The phase of the frill is passing and something needs to fill that gap. 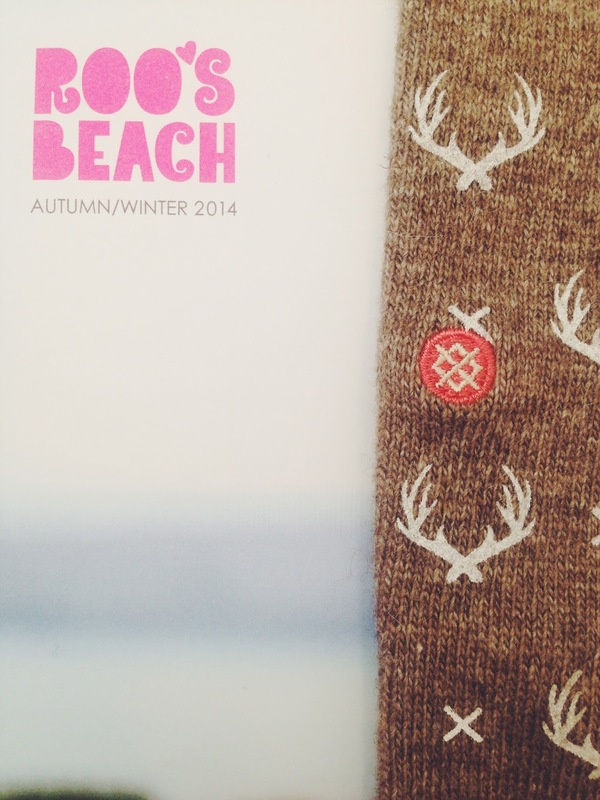 The wonderful brand Stance UK have teamed up with Roo's Beach shop in Porth and embraced this notion of socks for Christmas by creating a range especially for that. 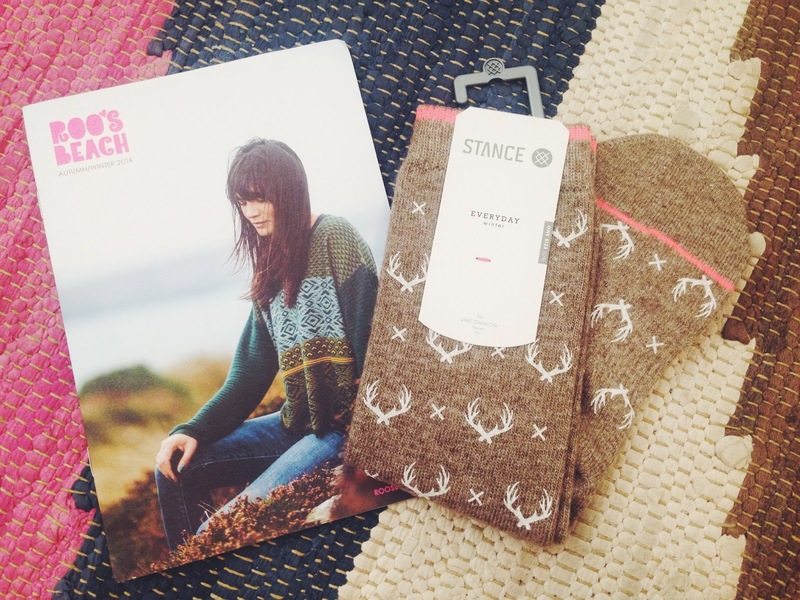 These stag socks are my favourite from their christmas range and I cannot express how warm they are. When I'm blogging or having an afternoon in my flat I tend to just wear socks to pad around in and these are ideal to keep my toes warm and feet snug. All of the socks for christmas range are so snuggly with lovely quirky patterns which are perfect for any stocking filler. With shorts socks to over the knee socks there is no chance the winter is going to freeze your tootsies. So if you're wondering what to get the awkward Uncle, your Mum who has everything or your Dad who never says what he wants, give their feet some love and wrap them up in some Stance festiveness. 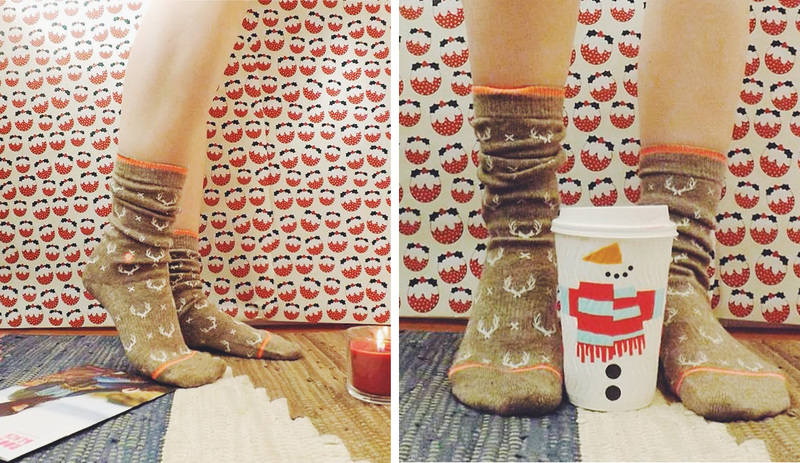 Give warmth, Give love, Give socks! YAY!